fiberaddict | It's Hot, Hot, Hot! Daleks! 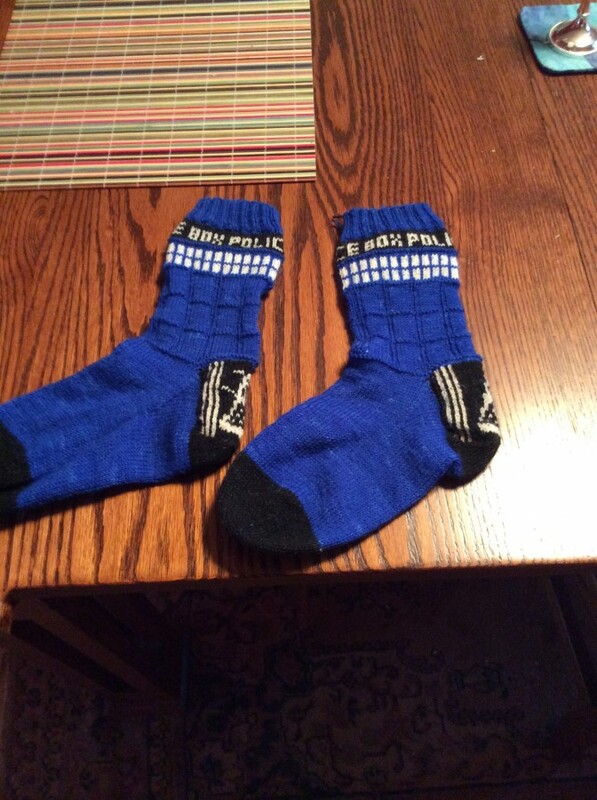 I wanted to knit in EXTERMINATE....but I didn't have enough stitches for that. That's OK - I have another pattern that Herself wants. 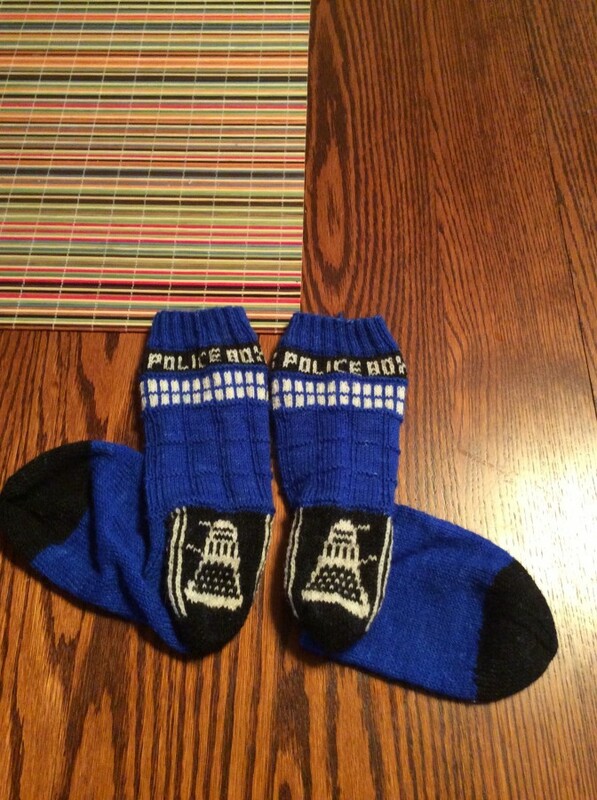 They're Dalek socks....and cute. :rofl: That'll be later, though....I need to get over the never-ending rounds of BLUE knitting I had to do to finish these. The fun stuff is all over at the start - you have a little bit more on the heel, but it's mostly mindless knitting in BLUE. :sigh: I'm working at Himself's kilt hose, but I'll be finding another color work pattern soon, I think. Or maybe a cool texture pattern...we'll see. Get this:I have never seen an episode of Dr. Who. sorry about the soap mess - sometimes they can be fickle. Maybe with the record cool temps (what are those? it will be 112° here all week it seems...blech.) the outside chilled too fast..is there such a thing?